Marvin “Mert” A. Banzhaf, age 76 of Cambridge, passed away on December 5, 2018 at the Bertrand Nursing Home in Bertrand, Nebraska. He was born near Orafino NE on March 28, 1942 to Walter and Margaret (Allen) Banzhaf. Marvin attended school graduating from Cambridge High School in 1960. He was employed for several years by the Cambridge Irrigation District. In 1965, Marvin joined the Nebraska National Guard and served till 1971. He returned to farming and retired and moved to Cambridge in 1997. Marvin continued to work as a crop adjuster for (Company) till 2014. He was united in marriage to Norma Lamb on November 26, 1960. To this union a daughter Shauna was born. 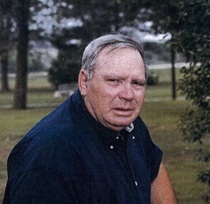 Marvin enjoyed farming, his cattle, hunting pheasant, turkey, deer and coyotes with his hounds. He restored antique tractors and was in the Guinness World Book of Record in the World’s longest tractor caide. He loved to spend time with family and his grandchildren’s events. He was preceded in death by his parents, brother: Ronnie Banzhaf; parents- in-laws: Chet and Lucille Lamb; brother-in-law: Bernard Wickizer; nephew: Chet Wickizer. Marvin is survived by his wife Norma of Cambridge; daughter: Shauna and husband Jeff Wilken of Smithfield; grandchildren: Cheyenne and husband; Michael Fitzgerald of Axtell; Wyatt Wilken of Smithfield, NE; 2 brothers: Roger and Wife Norma Banzhaf of Berthoud, CO; Norma and wife Carole Banzhaf of Apache Junction, AZ; sisters-in-law: Ardith Banzhaf and Shirley Wickizer both of Cambridge. Memorial services will be held on Thursday, December 13, 2018 at 2:00 PM at the Congregational Church in Cambridge with Bill Weaver officiating. Inurnment will be in the St. John’s Catholic Cemetery with Father Ken Wehrs. Memorial may be left in His name at the Lockenour Jones Mortuary in Cambridge. Friends may leave on-line condolences at lockenour.com. Lockenour-Jones Mortuary entrusted with services.